She served her theatre apprenticeship at the world renowned Loose Moose Theatre and was trained by Keith Johnstone. It is her knowledge, technique and application of her improvisational skills, which makes Patti a unique and dynamic instructor. Her understanding and interpretation of Johnstone’s work and philosophy, combined with her wealth of experience on the world improv stage, has made her a “must have” teacher for performers and companies wishing to create spontaneous theatre with fine skill, strong narrative and elegant style. She is the Artistic Director of Die Nasty AU (Melbourne Australia), co-Director of Secret Impro Theatre (Melbourne Australia) and Impro Melbourne (Melbourne Australia) and has had the honour of being Artistic Director of Dream Kitchen Theatre (Toronto, ON. CA) and Rapid Fire Theatre (Edmonton, AB. CA). Patti is core company member (in absentia) of Die Nasty – the live improvised soap opera (Edmonton, CA), and was a spark of inspiration for the birth of London’s Spontaneity Shop. 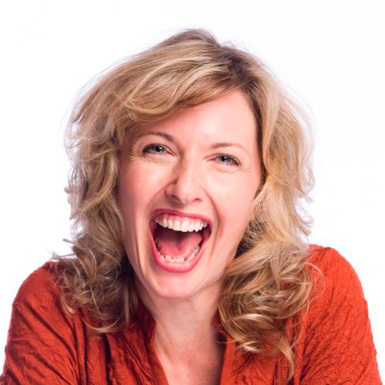 Currently she serves on the International Theatresports™ Institutes Managing Board as Artistic Director and and representative for the Oceania region. "Many of the genres we perform have characters that were created to reflect society of the time. Even if the author set the story in a different time, the actions or behaviours of the characters represented the social sensibility of the reader. These acceptable social rules were heavily categorised into male and female behaviour. Today’s world is different. Our social dynamics and ‘rules’ of engagement encompass more freedom then rules of the past yet our storytelling is still shackled to historical roles. For example, if we continue to categorise behaviour by gender, in reflection of today’s world, are we not perpetuating a form of sexism? Do the actions need to be linked to the gender for the story to be told? Do the stories remain genre ‘true’ regardless of ‘gender’ casting? By questioning, challenging and exploring the purpose of the character in the story and removing the gender assumptions we break open new levels of impro play and possibilities. The effects on the audience are really quite interesting." Master Class is designed for the experienced improviser and is focused on providing specific feedback on the individual from an experience outside eye. We look at strengths, patterns and habits. The aim is to bring a greater awareness of your work, provided challenges and open areas for growth.